A historical novel follows ambitious young women in Colonial America who struggle to hold onto loved ones in the turbulent times of the late 1600s and early 1700s. 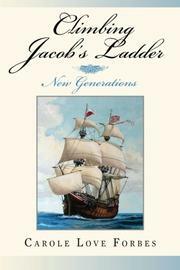 In the third installment of this series, Forbes (Climbing Jacob’s Ladder: New Challenges, Volume 2, 2014, etc.) continues the many threads from her first and second books, telling distinct but interconnected stories. This novel opens with a heroine from Book 2, Rachel Ward, who has left the civilized Colonies to live among the Pokanoket Indians with her husband, Tepho. Also known as Dr. Tom Mason, Tepho is half white, half Wampanoag. Conflict is brewing between the Native Americans and the Colonies, and Tepho feels allegiance to the natives. He sends his wife, along with his sister-in-law, back to live with the English colonists in New York for the war’s duration. Much time passes, a brutal struggle unfolds, and Rachel fears the worst for her husband. Even so, life must go on, and Forbes regales the reader with engrossing tales about many of the people in Rachel’s life. Forbes next shifts her focus to the South, beginning with Jamestown, Virginia, where James MacDougal continues to grieve for Amanda, the wife he lost in Volume 2. Returning to this section are many lovable characters from the prior books, like Lindy, Amanda’s daughter from an earlier marriage; Esther, James’ adopted daughter; and Manda, Lindy’s daughter. Forbes follows each of these characters through new adventures and adds additional kin to spice up her tale. The narrative moves at a fast clip, taking the reader for an absorbing ride through various relationships and historically interesting moments. These stories unfurl with fluidity and grace that lend a new level of artfulness to Forbes’ writing. Although the copious list of characters can be a challenge to sort out, Forbes again manages to keep the reader entranced by many of her surprising stories. Like its predecessor, this novel concludes with loose ends. Readers can likely expect a fourth book to follow. An absorbing saga of families and relationships that should appeal to fans of Colonial-era fiction.